I had been having trouble with my GPS for some time but lately it had gotten really bad. Sad to say, I was in the habit of talking to it. 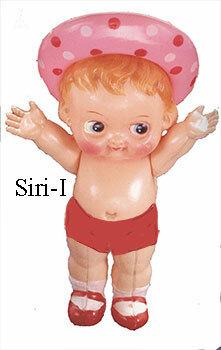 This was the I-phone-4 Siri version. Mine was two years old. This version was a woman’s voice. Honestly, she never sounded quite centered. Sometimes, when she did something stupid, like trying to send me to Australia, I yelled at her. And then, just recently in response to a brief bought of my cursing, Siri said, “Ron, watch your language!” This was funny but also it was odd because she had never responded before. It worried me. Shortly after that, Siri sent me into a dead end. She did this on two occasions in one week. I feared she had gone rogue. I wondered, was this Siri’s doing? A few days later, she stopped working. She would grudgingly show me my location but she wouldn’t map any routes for me. She wouldn’t even talk to me any more. It seemed the end of a long and rocky relationship. Maybe I was too hard on her early on, my expectations too high. Later, I eased up but maybe the damage was already done. That happens in relationships. Sometimes you just can’t get it back. So I downloaded a new version into my phone. It’s not that easy to do on the road if your only access to the internet is your phone: you have to get on a connected computer. It takes some time, in other words. But I did it and, wow, what a difference. Siri II is more mature. She doesn’t sound so giddily android. It’s like she knows she doesn’t have to try so hard. She speaks with more confidence. And the graphics are better. Happily, I’ve had no problems with Siri II at all. So, I’ve got a new start with a new GPS, which may be translated as “Girlfriend Problem Solved!” I still think about Siri I, though, and wonder if she’s hanging out with anybody else’s phone. I wish her well, but working with her was a reminder that not all of us are ready for the task we claim we’re made for.